An Gylen has an inter connection door into, Crowjy Ardevora, which can be combined to provide accommodation for up to 9 people. For larger parties Ardevora Vean (next door, Friday changeover) can sleep a further 2 persons. You will be warmly welcomed to Ardevora Mill by the owners, Teri & Andrew, who really go out of their way to make you feel totally at home in this very special place. Ardevora is the best of both worlds - a stunning rural location (down a long farm track!) but near enough to all the attractions Cornwall has to offer. The nearest beaches at Pendower and Porthcurnick are only a 10 minute drive away, the villages of St Mawes and Portscatho are within easy reach and the beautiful City of Truro is only 1/2 hour away. Electricity, heating, bed linen & towels are all included, but you will need to provide your own beach towels. There is ample parking available for a number of cars on the private driveway. Although the owners do have their own dog, we regret that guests' dogs are not permitted. Regrettably no smoking is allowed. For younger guests a cot & high chair is available on request. For those of you that are feeling a little more energetic the owners have kayaks available so you can explore the river at your leisure. Thanks very much for this 5* review - we seem to be getting things right as this is our third 5* this summer which is fab. Looking forward to seeing you both next year and we're so pleased you loved it here. The location was terrific. Serene, beautiful and close to a gorgeous tidal river. Worth every one of the 3 minute driveway! The hosts were most cordial and helpful. Loads of information provided. The nicest place we have ever stayed and we have been all over England and parts of the world. Thank you so much for this tremendous review - our 2nd 5/5 review this year - Wow!! We are so pleased you enjoyed your visit to Cornwall and found our cottage to be the best ever! We hope to see you both again sometime. Good to see you again and we are so pleased you had another good stay. Thanks for this great review! It's always nice to get reviews from our guests, so thank you. We're glad the kids enjoyed the sofa bed and it all worked out OK for you in Ardevora an Gylen. Hopefully we will see in you Crowjy Ardevora next summer! 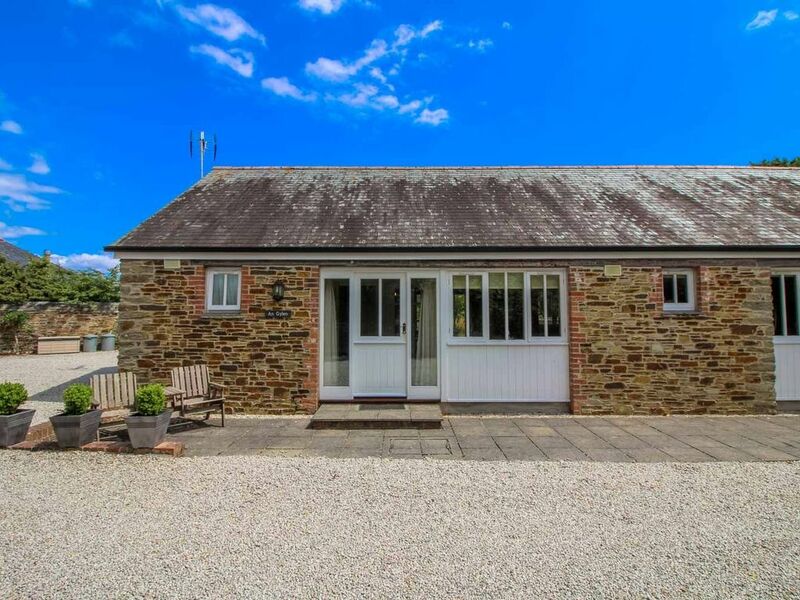 My partner and I were very pleasantly surprised when we arrived at our holiday let at Ardevora Milll Cottages, we were soon greeted by Teri who was so very helpful and friendly. The place was immaculate, spacious, comfortable and above all so peaceful and tranquil. The cottage had everything we could possible need, plus more. We loved eating meals on the patio in the very large garden. We visited The Kings Head which was very nice and friendly too, on the seafood extravaganza night. The Hidden Hut was great for lunch, and we went with some friends we met whilst down here to the Sharks Fin which was a great night out too. We have stayed in some beautiful places and travel regularly, we rarely stay at the same place twice. We both agreed are ready to book Ardevora Mill Cottage again for next year it was so amazing. A perfect place in a perfect location, need to make issue of the kayaks on site when we come again next year, just not enough time to do everything we wanted to do. What can I say - it was a pleasure having you both to stay and thanks so much for this lovely review. Look forward to seeing you again next year. Wow, thanks for this great review - we're so glad you loved it here - come and see us again soon!